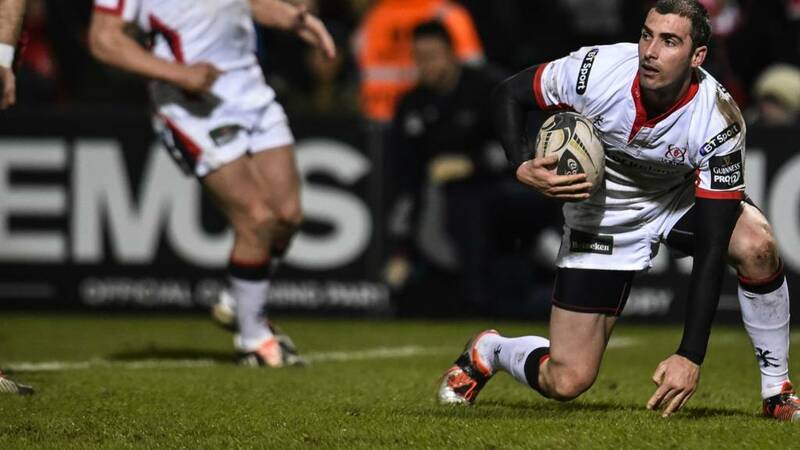 Ulster: L Ludik; C Gilroy, D Cave, S Olding, J Stockdale; I Humphreys, R Pienaar; C Black, R Herring (capt), R Lutton; A O'Connor, P Browne; R Diack, S Reidy, R Wilson. Replacements: J Andrew, K McCall, B Ross, C Ross, N Williams, P Marshall, P Jackson, R Scholes. Dragons: C Meyer, A Hewitt, A Hughes, A Warren, H Amos, A O'Brien, C Davies; P Price, E Dee, B Harris, M Screech, R Landman (c), B White, N Cudd, E Jackson. Replacements: R Buckley, B Stankovich, S Knight, C Hill, J Benjamin, S Pretorius, G R Jones, N Scott.